I was born in Italy in 1990, and play video games since I was 8. After graduating in translation, in 2011 I started to help developers and publishers to localize and promote their games – and to do it right. I graduated in Interpreting and translation and decided to specialize in game localization. I began to focus on PC and mobile games. I still play console titles, but it’s no longer my main focus. A game I localized entered the top 10 iOS grossing games chart in Italy. To date, it’s still there. I translated one of the top Steam games of the year. I started to cooperate with one of the world’s biggest mobile game developers, transcreating all their Italian ads and app pages. The Lord of the Rings trilogy has circa 470,000 words. The Bible, 775,000. With more than 1,5 M video game words translated over the last few years, I believe I know a thing or two about game localization. Now I put my language skills at your service so that your game can really shine without reading like a translation – ‘cause localization is no easy task, but it’s simpler when you work with an expert. It’s challenging to translate a game without a thorough knowledge of both its mechanics and style. That’s why my quotes always include a certain amount of hours spent playing your game. If your title is an arcade racing game or a short platform game, 2 hours will probably suffice. For story-driven adventure games or RPGs, 10 to 20 hours are likely to be needed. I am passionate about my job and am always happy to go the extra mile for my clients. That might mean working later to help you get your game ready in time for the release, but also shows up in little details: my average email response time is 15 minutes during European business hours, but I also answer US clients in no more than half an hour after my working day is over. If you’re not familiar with the term, transcreation means taking an advertising collateral and re-create it for a foreign market so that it’s not a bit less effective than the original. Transcreating your advertising materials can lower your CPI significantly and allow you to increase revenues in any foreign markets, but it’s to be handled with care. When you work with me, you have both the copywriting experience and deep market knowledge that you need. Domenico is an exceptional English to Italian translator. I manage the translations of a game into several languages and can attest that he is a true professional. He stays in constant communication when needed and never misses a deadline. 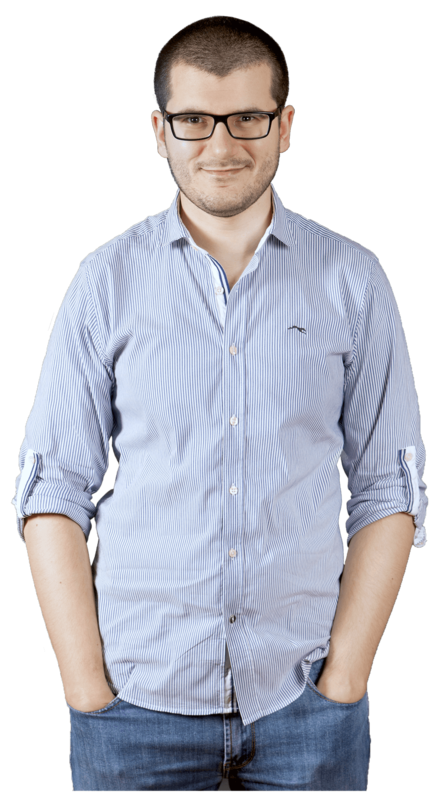 His high attention to detail and passion for game translations show in his work and he has helped our game to regularly reach a rank in the top 20 grossing mobile games in Italy. Don Parker, Game Designer at MIR Partners, Inc. The game in question, Battle Camp, later went on to reach rank two in the top grossing iOS games chart in Italy (5th of May, 2015) and it has constantly remained amongst the top 10 grossing games for more than 2 years now. Have a potential project to discuss, or maybe just liked the website and want to say hi? I’d love to have a word with you.